Our atmosphere makes life sustainable on Earth, but is a real pain for astronomers. Water droplets help block most of the high-energy rays in space – UV, X-ray, and gamma – that are lethal to humans, but these same rays are exactly what scientists use to understand distant objects in our galaxy and beyond. For a long time, astronomers were restricted to ground-based telescopes, and the most they could do was place them in highly elevated areas with minimal light pollution. Still, they had to contend with atmospheric turbulence, which limits the sharpness of images taken (this is also why stars in our sky ‘twinkle.’ It was Lyman Spitzer in 1946 that first theorized a solution to this atmospheric barrier. In Spitzer’s paper, “Astronomical advantages of extraterrestrial observatory,” the advantages of space-based telescopes were explored. In 1968, the United States launched the American Orbiting Astronomical Observatory OAO-2, the first operational space-based telescope. OAO-2 was designed to measure the ultraviolet (UV) energy output of stars—a task impossible from Earth’s surface. Since then, dozens of telescopes took orbit beyond Earth’s atmosphere, and among those was Kepler. The Kepler legacy began on March 6, 2009 when it was launched from the Cape Canaveral Air Force Station (CCAFS) in Florida. 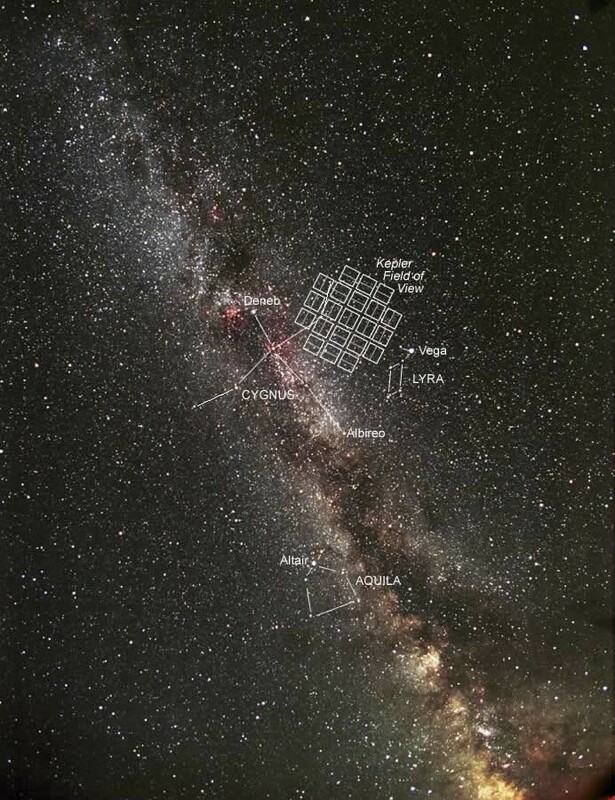 As part of NASA’s Discovery Program, Kepler’s mission was to survey our ‘local’ region of the Milky Way galaxy to discover potential habitable worlds. Kepler focused on stars similar to our own, with the purpose of finding planets around their orbit that are at the right distance for liquid water to exist. After 9.6 years of service, Kepler’s mission has revolutionized our understanding of space, and has opened the gateway to space exploration. 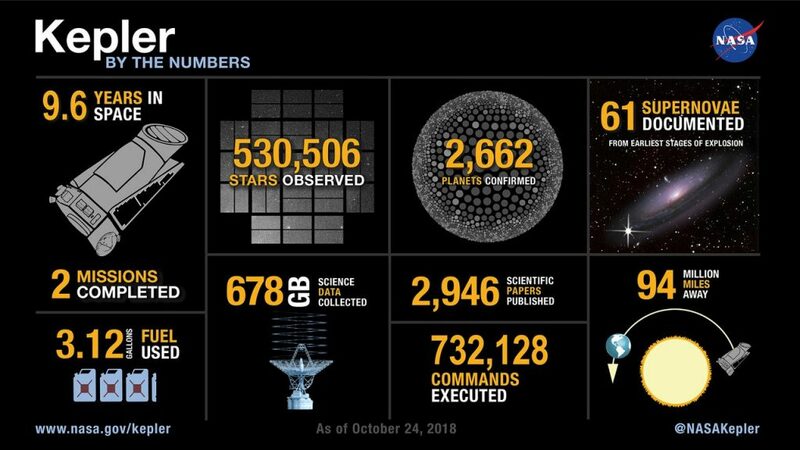 Since its launch, Kepler has observed 530,506 stars and discovered 2,662 confirmed planets. When we look up at the sky, we can see the vastness of space and that hundreds of thousands of stars exist. 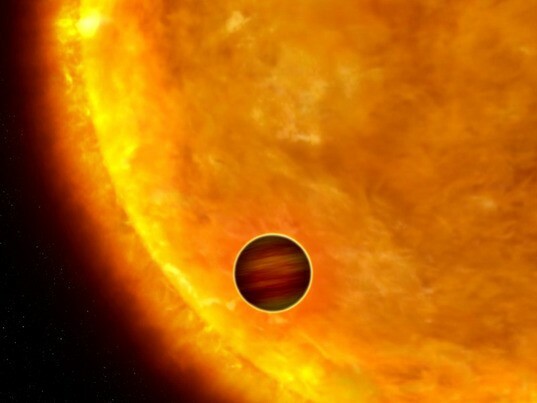 Astronomers knew that exoplanets, planets outside of our own solar system, existed. Without Kepler, there was no evidence of the existence of other planetary systems. Today, astronomers have thousands of exoplanets to study, and many of these planets could possibly support life. Recent analysis of Kepler’s data has concluded that about 20 to 50 percent of the stars have planets that are similar to earth in size and distance to their star, making it a possibility for liquid water to pool on their surface. With the data gathered by Kepler during its mission, astronomers now believe that there is a possibility that more planets than stars exist in this universe. Kepler has allowed us to see the diversity of solar systems, revolutionizing the way we see space and the possibilities that are out there in the universe. Kepler was also able to observe supernovae and captured the first moments of a dying star. On February 4, 2018 an old star, SN 2018oh, had exploded and became a supernova in a faraway galaxy. Since Kepler was observing the same region of space for years, it was able to observe the changes in the star’s brightness since the beginning. Having the ability to study supernovae such as this allows astronomers to track the expansion of the universe and find answers to how “dark energy” keeps the universe together. Kepler observed the same region of the sky during its entire mission, the Cygnus and Lyra constellations. The region between Cygnus and Lyra was chosen due to the rich number of stars, which meets Kepler’s need to observe more than 100,000 stars simultaneously. A given star will wind up in four different parts of the focal plane, depending on the season. The stars which Kepler observed ranged from hundreds to thousands of light years away (1 light year is approximately 6 trillion miles). Less than 1% of the stars that Kepler had observed are less than 600 light years away. To detect planets, Kepler used the transit method, which involves analyzing photometric data to detect small dips in the brightness of a star, which is indicative of a planet blocking light as it passes across. Additionally, the star that is being studied has to appear bright enough so that the light can reach Kepler and changes in brightness can be detected. Stars that are further than 3,000 light years away were too faint for Kepler to study. Kepler’s sole scientific instrument was a photometer powered by Teledyne e2v’s CCD imaging sensors. Kepler’s focal plane array contains 42 of these back-illuminated CCD90s sensors and forms the largest array of CCDs ever launched into space by NASA, generating images with more than 95 megapixels. The CCDs are not used to take sharp pictures, but are rather used to capture photometric data. The images are intentionally defocused to about 10 arc seconds to improve the photometric precision. After nearly a decade of service, Kepler ran out of fuel on October 30th 2018. It was time for the world to say “goodnight”. Kepler’s final commands were to disable safety modes so that it would not turn its systems back on, shut down its transmitters, and readjust its orbit. As Kepler was still slowly spinning at the end of its life, the Kepler team had to perfectly time their commands in order to reach the spacecraft. The team continues to monitor the spacecraft to ensure that the commands were successful. Kepler is now drifting in a safe orbit around the Sun 94 million miles away from Earth, leaving us with thousands of planets to explore.